Twenty-eight thousand miles of unpaved roads provide local service to Pennsylvania's rural residents and the major enterprises of agriculture, tourism, mining/mineral industries, and forest products. Although they are inexpensive to maintain, loss of fine materials from the roads and their drainage areas creates dust and sediment. If not properly maintained, these roads can become sources of runoff and pollution to neighboring streams and waterways. Runoff in our waterways depletes the oxygen levels, smothering aquatic life that supports our fisheries. 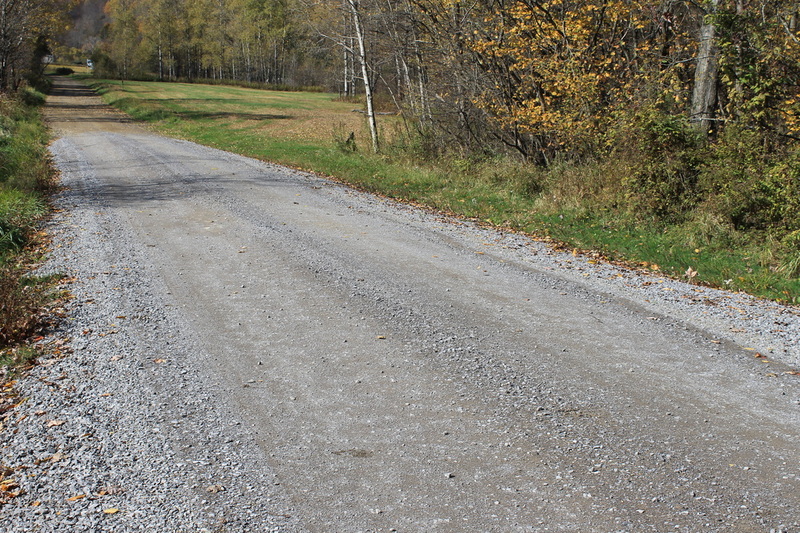 Dirt roads that are not properly maintained become large providers of dust and sediment. The program came into being in response to concerns voiced by members of Pennsylvania Trout (a council of "Trout Unlimited") over problems cause by sediment pollution from unpaved roads in the state's premier trout streams. Subsequent follow-up efforts included creation of a Task Force on Dirt & Gravel Roads that was a cooperative working group consisting of state department personnel, sportsmen, environmental resource agency officials, local government representatives, private companies, Penn State researchers, legislative staff, and citizen environmental group members. 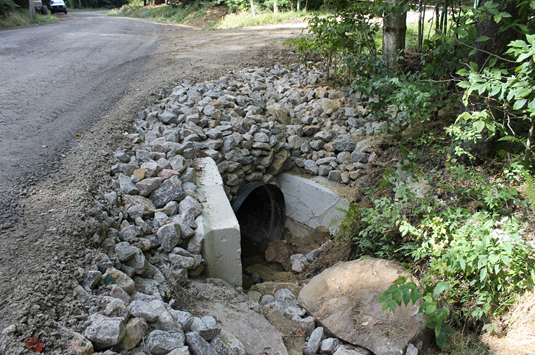 Both Pennsylvania Trout and the Task Force recommended a locally based, locally controlled, cooperative approach to eliminate non-point source pollution occurring along these rural roadways. In January 2001, the Center for Dirt & Gravel Road Studies was established at Penn State University. 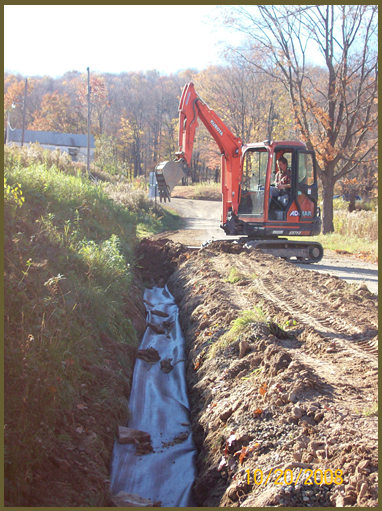 The Center works closely with the State Conservation Commission, Conservation Districts, Quality Assurance Boards, and local municipalities to research improved maintenance techniques, provide “hands-on” technical assistance & training, appropriate maintenance practices and products, and broaden the impact of this pollution prevention effort. In 2014, funding was added for low volume roads with less than 500 cars per day in traffic load. The primary issues addressed are road drainage, roadbed elevation, sub-base materials, and surface material. 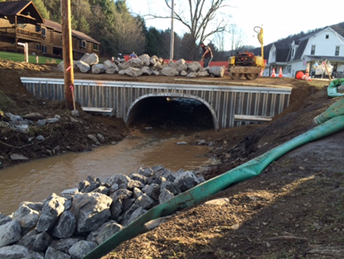 These all keep water off the roadway and eliminate the erosion of road surface material into local streams. 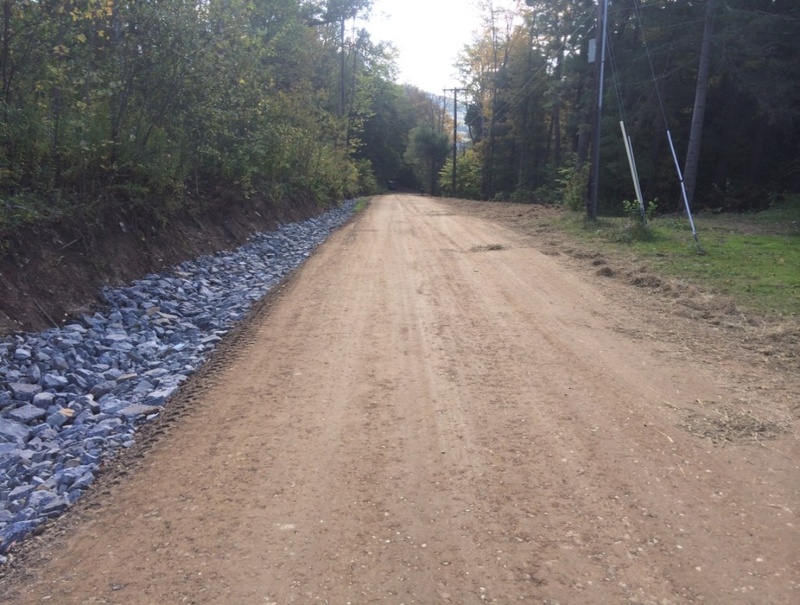 Local municipalities and state agencies that maintain dirt and gravel roads are eligible to receive funding. However, to be eligible for the program, the participant must first attend a two-day training session for “Environmentally Sensitive Maintenance of Dirt and Gravel Roads”. To be eligible, projects must employ “environmentally sound” maintenance practices and products to correct pollution problems related to the roadway. Municipalities can apply annually for road projects. A municipality may not submit an application if it does not have at least one person who has attended the training within 5 years of the date of an application. Interested municipal officials can contact Resource Conservationist Lindsay Shine at the District office for further details. The program is overseen by the Penn State Dirt and Gravel Road Center, providing technical assistance and training to both Districts and Municipalities. Visit their website via the green link above for training opportunities and additional information.